Running a construction company is not easy. In addition to all the planning, budgeting and managing, company owners also need to worry about security, both on the physical job site and online. Deciding what security measures to take can be a daunting task, and it’s easy to overspend on superfluous and ineffective business security solutions that your company doesn’t need. For business owners in the construction industry, here are essential security upgrades that won’t stifle the efficiency of your day-to-day ops or strain your budget. The very first defensive move required in securing your business is to secure the perimeter of all job sites. A project without clearly defined boundaries is an open invitation for theft and vandalism. The traditional practice of installing a chain-link or electric fence still stands today as the best means of deterring equipment theft and trespassing, so if it ain’t broke, don’t fix it. The concept is simple — the more difficult it is to get into the site, the less likely it is that would-be intruders will try; standard fences are made of metal that requires cutting, which would slow down a thief, and electric fences can be linked to security alarms, which would draw unwanted attention to any intruders and keep most perps from trying to breach it. A fence alone is not enough. It’s important to provide sufficient lighting at your job site both day and night, but in the evenings it is imperative. Like a fence, lighting makes trespassers reconsider the stepping foot on your site. It’s the same justification for why retailers leave the lights on overnight; ne’er do wells are less likely to target areas where they are clearly visible due the risk of being identified. One of the most effective means of on-site security is the installation of a construction site surveillance system. With these innovative systems, with the occurrence of an incident or intrusion, a video-verified alarm system immediately provides a video clip of the whatever trips the alarm so that property owners can review it and instantly verify the threat or cancel the alarm. A system like this can also connect wirelessly to the internet to provide a live feed to owners when they are on and off site. Additionally, they alert law enforcement and even offer prioritized police response. To secure your company online, your first move should be to ensure the individual security of each device used at your site location. A good anti-virus program on every device will ensure that if there is an attack on one device, it will not spread and take down your entire operation. Additionally, you can encrypt all contractor data, which would mean that if that data was obtained by attackers, they would be unable to access it without permission. Your are likely observant enough to recognize an attempted phishing scam, but if a loaded email were to come from a business partner or friend, would you recognize it as a threat? These attacks are the most common cyber security issue the construction industry faces today, known as “spear phishing,” these messages are the result of online cyber criminals enabling email services to send fraudulent emails from seemingly legitimate account holders. They are not always as apparent and can cause considerable damage when opened. The system updates that seem to come too frequently are not issued to be annoying. They relate to important updates that may be critical to the security of your software. Since cyber threats are always evolving, developers work endlessly to combat new tech threats, like IoT sensors and smart locks that could introduce new security issues. Regardless of the kind of software you employ, regularly updating that software will ensure that you have the most recent patches for security holes. 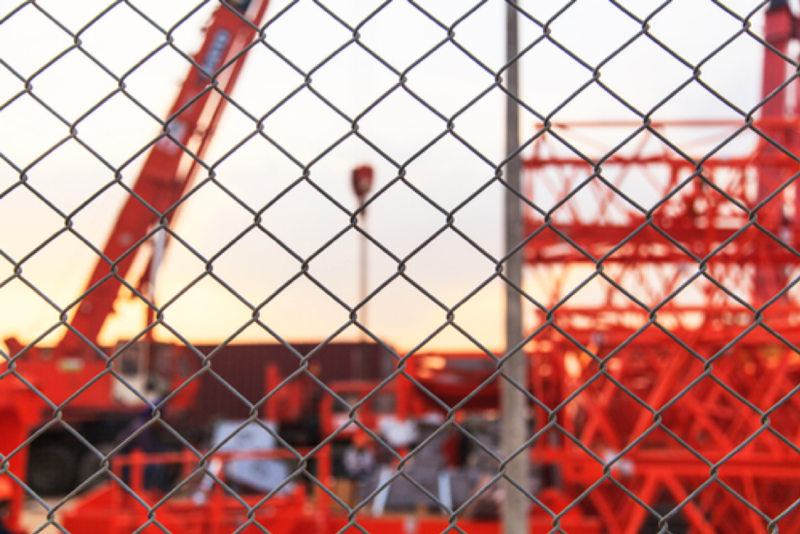 The construction industry continues to face old security threats, like vandals and thieves, which require security measures like fences and video monitoring. They also face a new wave of cyber security issues that need to be combated through tech-savvy solutions like quality email systems and software updates. Though fortifying your job site security may often seem like an insurmountable problem, these essential upgrades can help you manage possible threats so you can focus on managing your business.